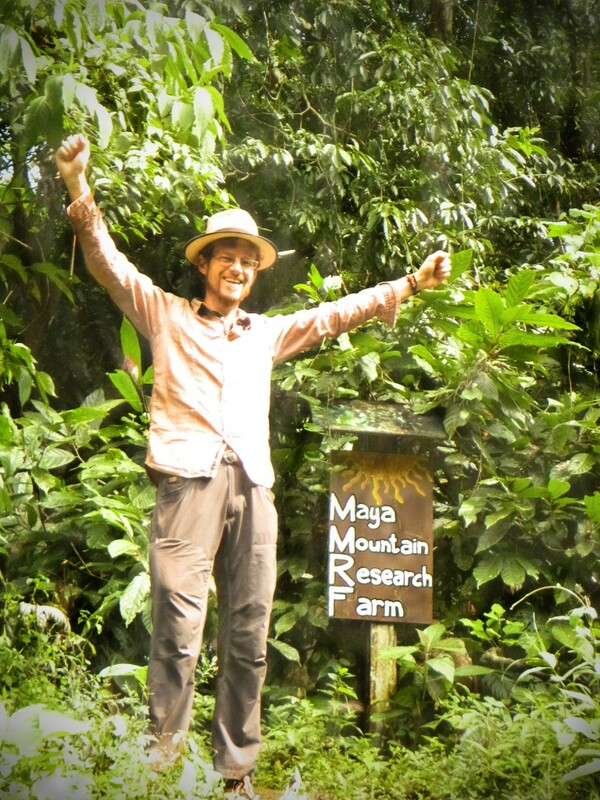 The Maya too Research Farm (MMRF) is a permaculture education center that hosts students from around the world and develops social outreach programs that bring Belizean students on site. Founder Chris Nesbitt also brings his knowledge to communities around southern Belize. 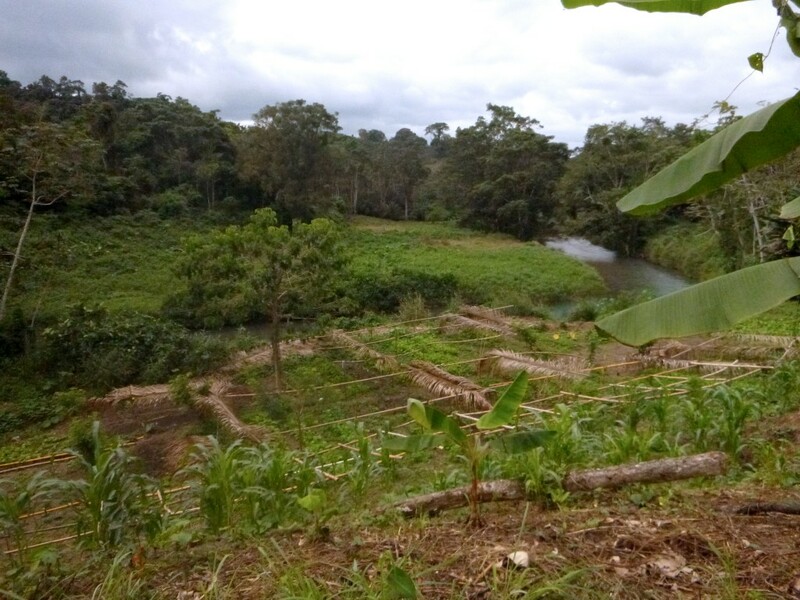 Chris is a North American permaculture designer with almost 30 years in Belize and Central America. 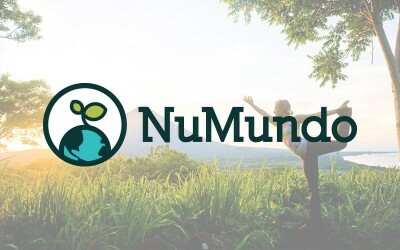 From working for almost a decade in the cacao industry, running a tropical permaculture education center, and working in the NGO sector with Keq’chi Mayan communities, his experience is uniquely interesting and relevant to Nuevo Mundo Foundation’s Lanquin Guatemala impact center project in the works. To get to MMRF the we crossed through Guatemala by land through the windy and treacherous roads of Alta Verapaz and the balmy Rio Dulce until we got to Puerto Barrios, a seedy Caribbean port town. From there, we crossed over to Punta Gorda by boat, caught a bus to a little intersection called “Dump”, hitch-hiked to San Pedro Colombia in the back of a pickup truck, walked down small village dirt roads to locate a boatman’s daughter, had her call him to the dock, and then we were brought in 30 minutes on a narrow, dug-out canoe called a dory. It took us a day and a half of travel, and it was well worth the journey! After dismounting from the dory, we were greeted by an outwardly fierce guard dog named Bambi. Apparently he bites new males – David got away unscathed, mostly due to Jennifer running interference. Our next greeters were a couple of North American and European interns, and Chris and his wife Celeni. Other than a few local employees and a film crew doing some interesting (secret) work, we were the only ones. A couple weeks before, 34 Belizean students had been on-site for a workshop, and the paths were hazardously slippery as a result of this traffic paired with recent rains. The next morning, we hit the trails with Chris to collect valuable information. Chris is a history buff, and has an entertaining narration style. My favorite story Chris shared was a field trip he took years ago, with the blessing of the Belizean Ministry of Agriculture, deep into the Belizean bush to recover ancient Mayan cultigens of cacao. This special strain had been abandoned to grow for more than a thousand years in isolation, fully preserving its genetic profile. The most useful new information that we learned was how to deal with leaf-cutter ants and termites by creatively applying the permaculture principle of turning a problem into a solution. This is a question that has baffled tropical gardeners across borders and climates. Chris informed me that leaf-cutter ants are actually nature’s repair kit for damaged land. Their very presence indicates human disturbance, and their activities aerate and regenerate compacted soil to a more healthy state. 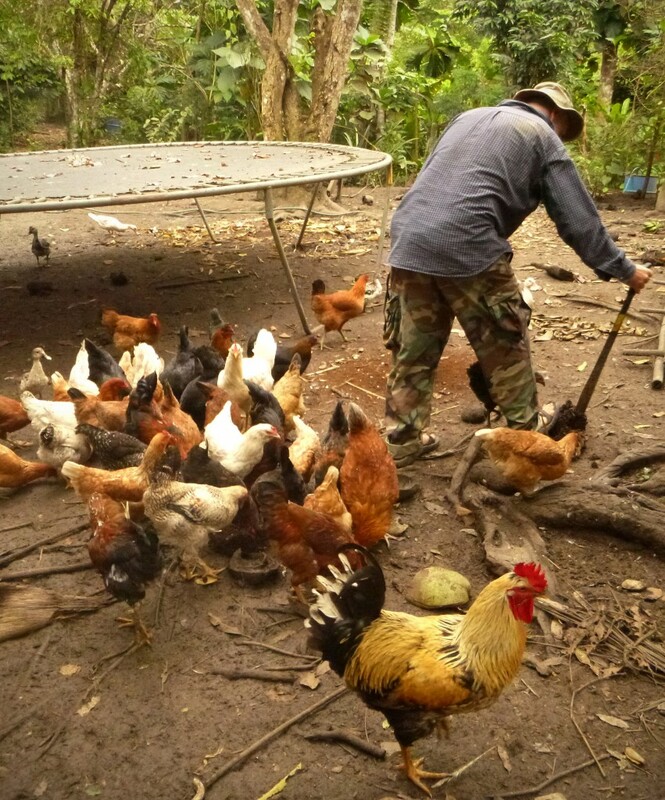 When the ants have outlived their usefulness, Chris feeds them to his flock of chickens. 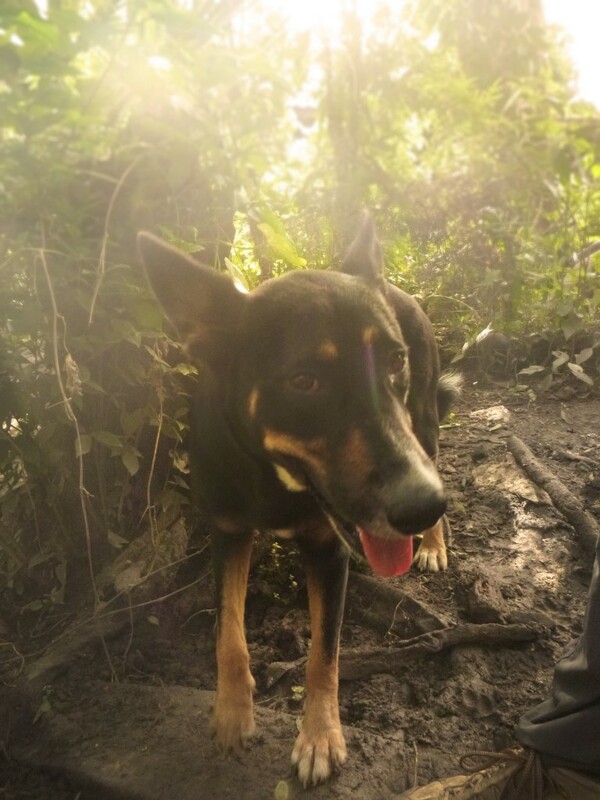 In front of our eyes, he located an ant nest, beat the ground with a machete to excite the ants to emerge in defense of their colony, and then informed the chickens that lunch was served. Within minutes, a colony of ants was being converted into chicken eggs. All of the delicious meals at MMRF are made with food grown on-site or sourced from the closest farm possible, and are prepared by local Mayans under the watchful guidance of Celini. Chris and Celini employ a dozen locals who help to maintain the farm and outbuildings, and learn permaculture techniques along with the interns. MMRFs international internship program has hosted over 2,000 people from around the world, who stay for a few weeks to over six months. Interns learn through instruction as well as working alongside Chris and his team, and develop personal projects that are tested on the farm. 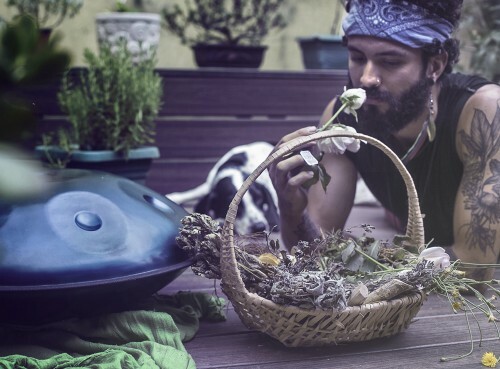 MMRF offers a yearly Permaculture Design Certification Course in February, featuring notable educators including Starhawk, Albert Bates, Marisha Auerbach, and of course Chris himself, who is widely considered an expert on tropical stacked polycultures (food forests). He recently received a grant from LUSH Cosmetics to offer this course to a group of local Belizeans. Chris is a proponent of the Collapse theory, recently popularized by Jared Diamond, and believes that the modern Maya world along with the rest of earth’s population are collectively pressing the accelerator pedal headed towards a collapse of the systems and resources that maintain civilization. We found him humble and entertaining, able to broach serious subjects with humor, lightness, and piercing insight. He peppered examples of applied permaculture with bits of history, politics, personal escapades and anecdotes. Chris let us know that the first thing he did before breaking ground was to patiently observe patterns for three years. Over the last 25 years, MMRF has grown from a personal project to a thriving center spreading high-quality education to local and international communities. Witnessing the effects of the drive and vision of one man gives us hope for the future. It’s reassuring to know that degraded land can be completely regenerated and transformed into a lush edible forest of tropical delights in only a couple decades. This is a deeply inspiring model to emulate, and we hope to harvest Chris’ knowledge and experience to create something equally amazing at our site in Lanquin.